Helen Street McDonald Mohan, a long-time resident of Carthage, passed away peacefully in her home on Friday, the 16th of November after a long battle with Parkinson’s Disease. Memorial service will 2:00 PM, Wednesday, November 21, 2018 at First Presbyterian Church, Carthage, NC, officiated by Reverend Rick Martindale. Burial will follow at Crosshill Cemetery. Born in 1933 in the same house where she passed away, Helen attended both elementary and high school in Carthage. Helen received a Home Economics degree from Women’s College in Greensboro, she later received a Masters degree in Counseling from East Carolina University. A long time educator, Helen taught Home Economics, Science, and Vocational Education courses in multiple schools across Moore County. Helen became one of the first guidance counselors in Moore County. She concluded her career at North Moore High School as a Guidance Counselor, retiring in 1994. Throughout her years as an educator, Helen influenced thousands of young lives as she taught, inspired, and guided young people. A life long member of the Carthage First Presbyterian Church, Helen served the church as both a Deacon, Elder, and Sunday School teacher. 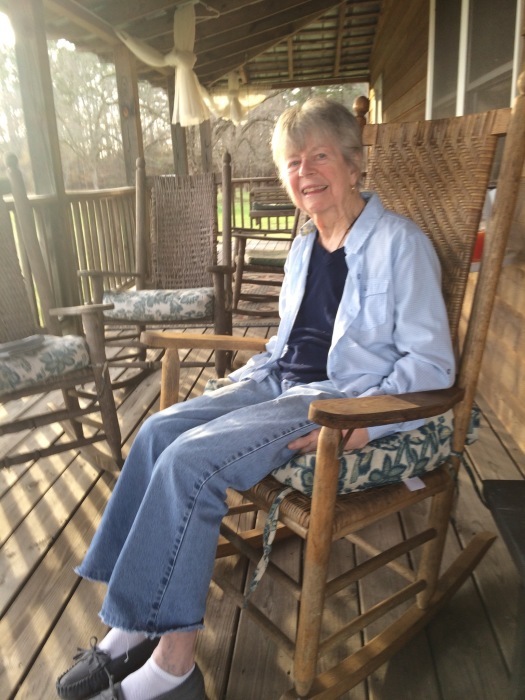 Active in local community affairs, she was a member of the Carthage Garden Club, a founding member of the Carthage Historical Society and an avid member of the Carthage Rotary Club. Above all, Helen loved family, no matter what the activity - beach trips, working in the yard, sitting on the back porch, looking at old photographs, or spending time in Glendon - she loved it all. Helen was the daughter of the later Daniel Allen and Helen Street McDonald, and was preceded in death by Tom Mohan, her husband of 47 years, sisters, Ida Martin McDonald and Mary Allen McDonald Risher. She is survived by her children, Jeff (Katherine) Mohan of Haymarket, VA, Betsy (Greg) Pilson of Carthage NC, Brigadier General Chris (Cindy) Mohan of Redstone Arsenal, AL and Major Patrick (Holly) Mohan of Sanford, NC. Helen loved all twelve of her grandchildren: Glendon Mohan of Madison, WI, Caroline and Lauren Mohan of Haymarket VA, Murphy (Travis) McNeill and Abby Pilson of Carthage NC, 2nd Lieutenant Tommy Mohan of Fort Benning GA, Sarah and Molly Mohan of Redstone Arsenal, AL, and Khloe, Iain, Declan and Keeley Bree Mohan of Sanford, NC. Helen also has two great grandchildren: Kenley and Cora McNeill of Carthage, NC, and sisters: Phebe (Paul) Kirkman, Candace (Peter) Stothart, and Ruth Anna Langdon. The family will receive friends from 6 to 9 PM, Tuesday, November 20, 2018, at the home. In lieu of flowers, please send memorials to the First Presbyterian Church, P O Box 937, Carthage, NC 28327. Fry and Prickett Funeral Home is serving the Mohan family.